Frost Science has worked for over two decades to enhance science education for our youngest scientists. One of the most powerful ways we’ve done this is through the development of our ECHOS® professional development model and ECHOS curriculum, which includes 32 engaging hands-on science lessons for children ages three to five. The program has been proven to increase children’s science process skills, and ECHOS teachers demonstrate increased knowledge of science content and instructional strategies. With generous funding from the W. K. Kellogg Foundation, Frost Science is currently collaborating with Miami-Dade County Public Schools to align science curriculum and methodology, classroom environment, and parent engagement across Head Start, Title I/VPK and SPED inclusion preschool programs in 15 STEM-Designated elementary schools. The program works in several ways. We train teachers in the full breadth of the ECHOS curriculum and provide all the materials needed to implement the curriculum throughout the school year. We provide opportunities for parents to attend workshops, learn how to teach ECHOS activities, and then work in their child’s classroom, helping with ECHOS activities. We provide opportunities for teachers to collaborate in a Community of Practice to learn from each other’s experiences. Finally, children visit Frost Science during field trips, and return with their families for Family Science Day. The project impacts approximately 670 children and their families in 34 preschool classrooms, 68 teachers and paraprofessionals/teacher assistants, and up to 68 parent leaders. This project builds on the work of the 2014-17 ECHOS Professional Development and Family Engagement project, funded by the W.K. Kellogg Foundation. 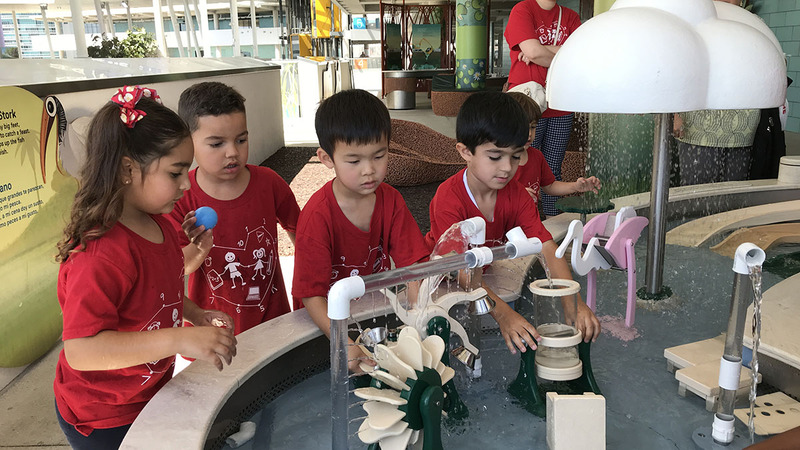 The foundation commissioned a case study about the project: Science as a Platform for Family Engagement: A Case Study of the Early Childhood Hands-On Science (ECHOS) Program. View a short video to see ECHOS in action and hear from ECHOS parents, teachers, and administrators.